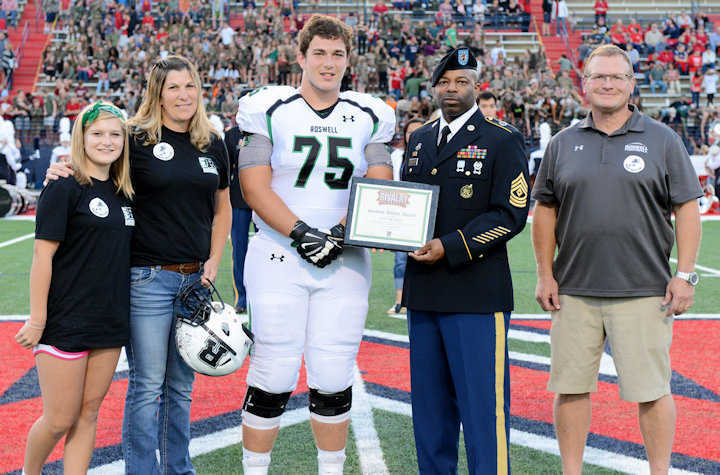 MILTON—Meeting the Milton Eagles last Friday in yet another chapter of one of Georgia high school football’s most storied rivalries, the Roswell Hornets added a hard fought 17-0 victory to the record books this season. 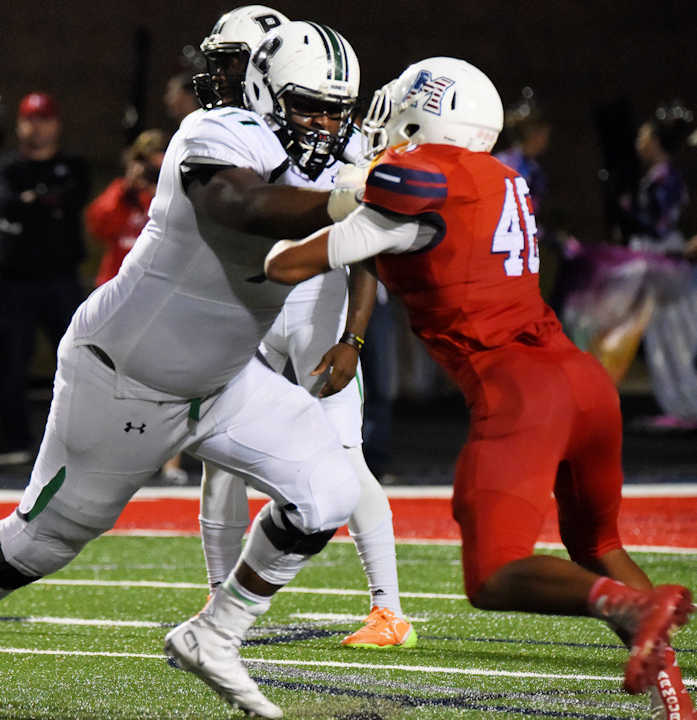 Even though Roswell held their opponent scoreless, this match-up was no blowout. The Hornets and the Eagles locked into a physical stalemate that lasted for the entire first half of the game. On both sides, solid work on defense kept the game scoreless through the first two quarters. 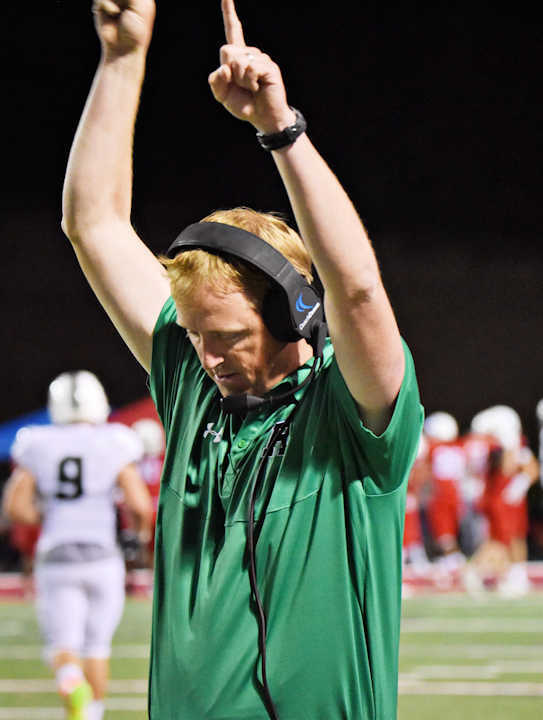 Roswell’s offense was able to break out of its scoring slump about eight minutes into the third quarter with an impressive 90-yard drive ending in a 26-yard field goal from senior placekicker Turner Barckhoff. Just a few minutes earlier however, it looked like Milton would score first after a blocked Roswell punt gave the Eagles a first and goal just two yards away from Roswell’s endzone. 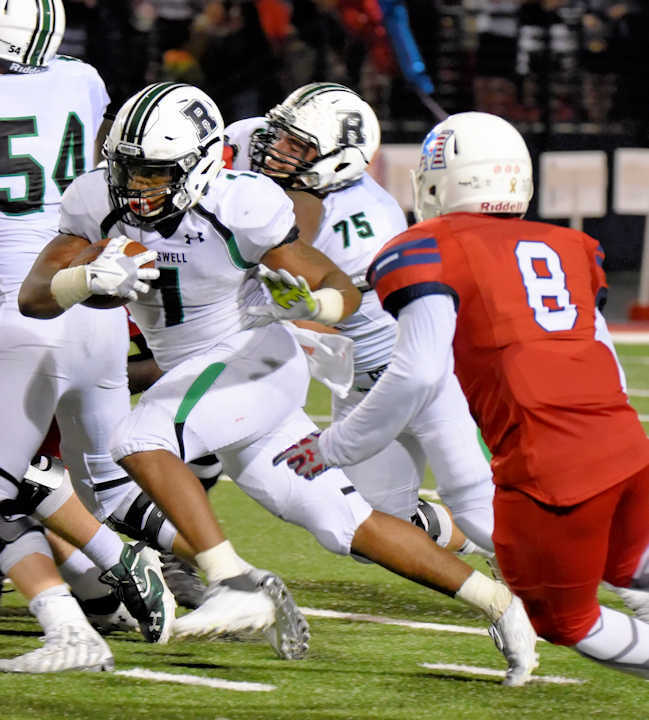 Once again however, the Roswell defense rose to the occasion and forced a fumble at the 1 that Hornet junior defensive back Jesse Bridgman recovered to squash any Milton momentum. From there, the Hornets built a long and steady drive with key contributions from senior wide receiver Kentrell Barber who caught a pass for 30 yards, and from senior running back Sheldon Evans who balanced out the offensive attack with long carries of 22 and 17 yards. That was enough for Roswell to get within field goal range and put the first three points of the game on the board. The Hornets’ very next possession was another scoring drive. In four plays, Evans carried for 34 yards and the first touchdown of the game from 5 yards out to make the score 10-0. 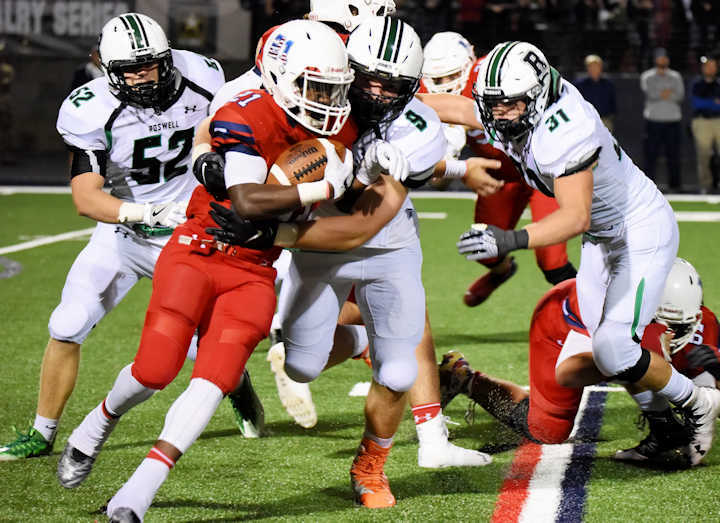 There would be no further points from either team until senior linebacker Mitch Stone caused a Milton fumble that was recovered by senior defensive lineman LaMon Titus at the Eagle 21-yard line. 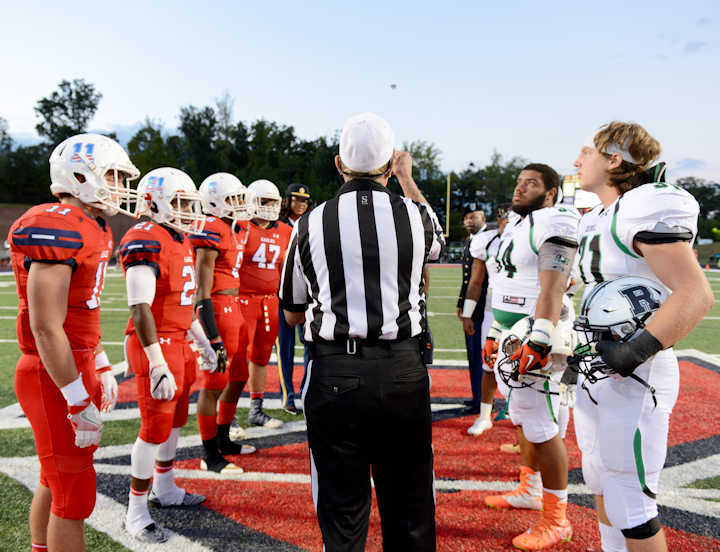 Despite two penalties against Roswell that brought the Hornets back a total of 25 yards, stellar running from senior quarterback Malik Willis brought the Hornets down to the Milton 3 yard-line, where Evans finished the drive with his second rushing touchdown of the evening to make the score 17-0. The defense then took over the last 5 minutes of the game, with senior linebacker Sam DiRoberto and senior defensive end Justin Ellis recording tackles for loss, and senior defensive back LeAnthony Williams snagging an interception with less than a minute left to seal the shutout. Friday’s game marks the last time that the Hornets will play out of their conference during the regular season. 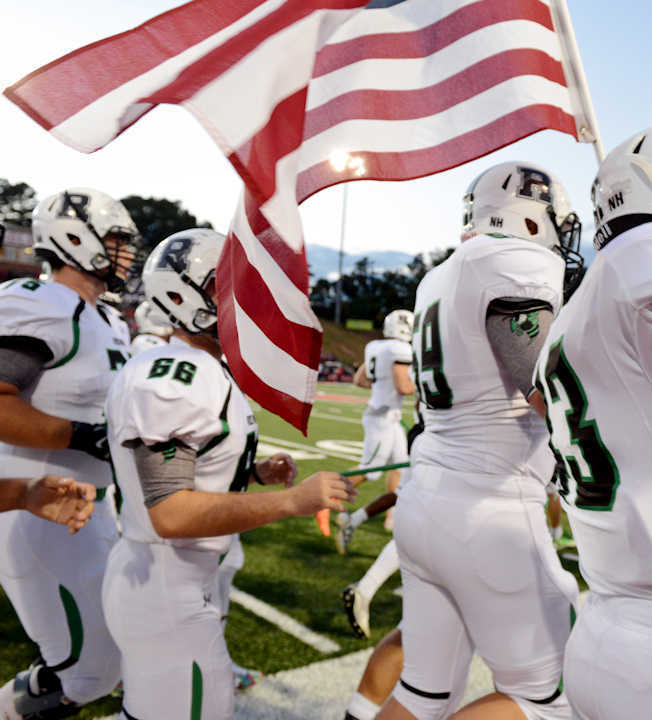 Next week, Roswell will return to Ray Manus Stadium for the first time in about a month to take on Lassiter. After that, the Hornets take to the road again for two weeks to play Walton on Oct. 14 and Etowah on Oct. 21.